However such data is subject to inconsistencies. An inconsistency is something that doesn’t seem to make sense. There is some sort of disharmony, even when one can’t put one’s finger on it. A physicist looks at the outer space. There is no physical medium there, yet the speed of light is constant. He is puzzled by this and makes it the subject of his research, because it is an inconsistency to him. A person says that he has a happy married life, yet his wife is often seen crying. This is an inconsistency. You postpone your trip to Spain because that country is torn by riots. Yet there are no riots in Spain. This is inconsistency. One resolves repeatedly to stop smoking, yet he continues to smoke. This is an inconsistency. A man finds life to be without purpose, yet he never had thoughts like this when he was young. This is also an inconsistency. 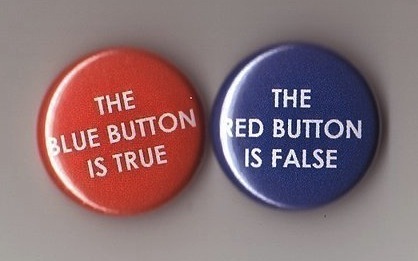 Inconsistencies add inaccuracies to extrapolated knowledge. All the situations in life are the result of such inconsistencies. It is difficult to perceive inconsistencies when justifications are present. For example, we say that God created this universe, but God could not have created evil in this universe because God is good. But “self” is an altered view of a “tightly interrelated system of considerations” that exist in relative isolation. Instead of focusing on self (overall personal characteristics), if one focuses on the related system of consideration, and non-judgmentally spots inconsistencies therein, then the situations in life resolve swiftly. Mindfulness helps one perceive inconsistencies and reduce them. It also brings about rapid spiritual progress. Practice mindfulness until it becomes effortless as a second nature. Recognize inconsistencies as they arise. Do not ignore them. Immediately look at the inconsistency more closely. Draw upon data as needed. It is quite easy to research in the Information Age of today. Simply track down the inconsistency and keep looking at it more closely until it dissolves. When the inconsistency is dissolved, then that’s it… let it go. Focus on the next inconsistency as it arises. Situations resolve much more swiftly in a group where everybody is applying mindfulness in discussions. Every person has knowledge within them. All that needs to be cleaned up are the inconsistencies in that knowledge. This approach is much more workable than the approach taken by indoctrination. Vin: This approach is much more workable than the approach taken by indoctrination. Chris: Yes, much more. And yet, we will create a system upon which we agree and it will work just fine within itself and it will be incomplete. Mind boggling. I was noticing the comments on Full OT which concept really describes an omnipotent, omniscient, omnipresent god; and seeing the paradox which points to the inconsistency in a concept like full OT. No such thing. What would one “full OT” say to another “full OT? Is this going to be a knock-knock joke? LOL! That sounds about right. Scientology Is built on the idea of individuality, which trumps over all other concepts. When push come to shove, any ARC is trumped over by assertion of individuality. This is the power of Scientology Axiom #1. Spyros on Geir’s blog should be given this reference to answer his question about booby-trap in Scientology.